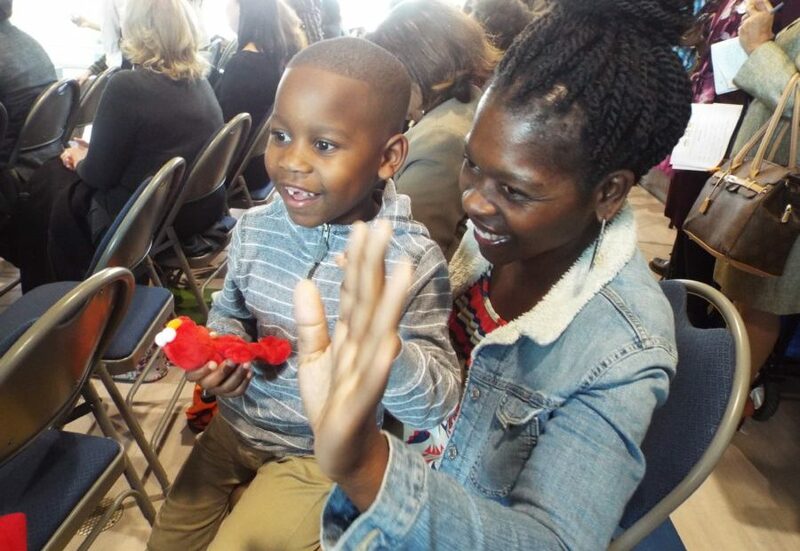 Dozens of grown-ups crowded into a meeting room Tuesday at an early childhood center in Memphis to celebrate a new partner in educating the city’s youngest learners: Elmo and Sesame Street. Officials with Porter-Leath, which provides early education to hundreds of children in the city, and ACE Awareness Foundation, which provides support and spreads awareness about adverse childhood experiences, announced the new collaborative with Sesame Street in Communities. “Our vision here is to be the leader in early childhood, and what could be better than to have the national leader in early childhood education?” Sean Lee, president of Porter Leath, said referring to Sesame Street. Increasing access to early childhood education has been a priority for Shelby County Schools and Shelby County elected officials. A growing body of research shows high-quality early childhood programs nurture brain development, enhance school performance and boost the likelihood of graduating from college and earning higher incomes. Elmo was in Memphis Tuesday for the launch of a new partnership between Sesame Street in Communities and Porter-Leath, the city’s largest provider of early education services, and ACE Awareness Foundation, which provides support and spreads awareness about adverse childhood experiences or childhood traumas. Through the partnership, Lee said that lessons and content from Sesame Street will be incorporated into its pre-kindergarten classes, and parents will receive take-home materials to reinforce the classroom learning. Additionally, he said, the collaboration will allow them to expand teacher training beyond traditional preK settings, including day care centers and family day homes. Jeanette Betancourt, a senior vice-president at Sesame Workshop, said the national initiative embeds in existing programs to add support and resources from its research-based materials on early education, trauma experiences and school readiness. Sesame Street in Communities operates in seven other cities outside Memphis. The goal is to expand into 35 communities throughout the U.S. in the next five years, said Betancourt. “I truly believe that having that [Sesame Street] title, having those connections will draw more parents and grandparents and childcare givers to the work that we’re doing,” said Renee Wilson-Simmons, executive director for ACE Awareness. Shelby County Mayor Lee Harris said that the Sesame Street initiative dovetails into one of the county’s priorities to expand quality, needs-based pre-K programs throughout the county. “We are working really hard to implement a plan to make sure that every child regardless of their income has access to a pre-K program,” he said.